Reality television is entertaining. I will be the first to admit that I enjoy watching all of these women battle over one man — providing that I would never partake. There are the normal, sweet girls (Emily), the odd (Madison), and the downright crazies (MicHELLe). One thing that I’ve noticed is that desperation is an ugly look. Women like Ashley H. and Chantal give all of us a bad name. Once they see that Brad has been going on dates with other girls, they completely freak out. Whatever happened to being confident in oneself? I am guilty of feeling insecure (as I’m sure a lot of us are), but seeing other women compete with each other over a man’s heart like this really puts it in perspective. I can see that this show teases it out and magnifies the self-confidence these women are seriously lacking. 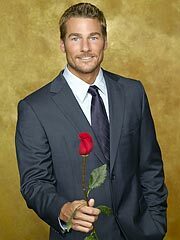 Maybe it is a desire for Bachelor Brad to “fix” and “comfort” these women who are clearly in need. I mean — he did eliminate two women who, after the fact, proudly proclaimed “Too bad, he’s missing out!” And c’mon, who finds true love on reality t.v. As long as the girls don’t show their crazy side (a la Michelle), there is no doubt in my mind that they will go on to find happy, healthy, NORMAL relationships. Also, although men do feel the need to be a knight in shining armor, this is the 21st century we are living in. I suppose my take-home message is this: Ladies, men can smell a desperate woman from a mile away. So be strong. Be confident. And most of all, be yourself. Someone who is really into you will admire you for all of those wonderful qualities you have to offer. One thing I suggest is to repeat positive affirmations when these negative thoughts begin creeping into your mind. What are some ways that you cast away these negative thoughts?